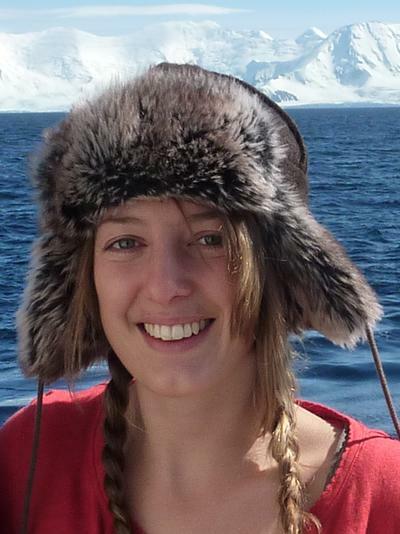 Dr Leigh Marsh is a Visiting Fellow within Ocean and Earth Science, National Oceanography Centre Southampton at the University of Southampton. As a deep-sea ecologist, I am interested in the distribution and abundance of deep-sea organisms, and the relationship between these organisms and the environment. My research is a multidisciplinary science that relies on the expertise of both geoscientists and biologists with the aim to investigate the mechanisms that underlie community structure, composition and ecological dynamics, and how they are altered by anthropogenic impacts (e.g. mining, trawling) and environmental change (e.g. climate, natural hazards). The overall focus of my research will underpin the responsible management of these deep-sea ecosystems over different scales, based on integrating specialist ecological knowledge together with social, political and economic values. Sigwart, J., Chen, C., & Marsh, L. (2017). Is mining the seabed bad for mollusks? The Nautilus, 131(1), 43-50. Raineault, N., Ballard, R. D., Mayer, L., Fisher, C. R., Carey, S., Marsh, L., ... Smart, C. (2016). Exploration of hydrothermal vents Along the Galápagos Spreading Center. Oceanography, 29(1, Supplement), 35-37. Carey, S., Bell, K. L. C., Roman, C., Dondin, F., Robertson, R., Gobin, J., ... Ballard, R. (2015). Exploring Kick’em Jenny Submarine Volcano and the Barbados Cold Seep Province, Southern Lesser Antilles [in special issue: New Frontiers in Ocean Exploration: The E/V Nautilus 2014 Gulf of Mexico and Caribbean Field Season]. Oceanography, 28(1, Supplement), 38-39. Raineault, N., Marr, C., John, B., Cheadle, M., Chaytor, J., Etnoyer, P., & Marsh, L. (2015). Nautilus Samples [in special issue: New Frontiers in Ocean Exploration: The E/V Nautilus 2014 Gulf of Mexico and Caribbean Field Season]. Oceanography, 28(1, Supplement), 13-15. Van Dover, C., Bell, K. L. C., Marsh, L., German, C., John, B., Cheadle, M., ... Ballard, R. D. (2014). Exploration of the Mid-Cayman Rise. Oceanography, 27(1), 32-33. Copley, J., Marsh, L., & Nye, V. (2012). Orbis non sufficit: insights into distributions of vent taxa from recent exploration of new areas. Paper presented at Prof Paul Tyler Retirement Meeting: Deep-Sea Biodiversity and Life-History Processes, United Kingdom.